We offer a full range of property management services tailored to you as an investor, homeowner, or landlord. We have an extensive portfolio of single family homes, townhouses and condos in the Cameron Park area. Some of the many benefits of trusting KTB with your Cameron Park Property Management needs are detailed below. KTB Property Management has leased over 3,000 houses in their 20 plus years of Property Management. We currently lease 10 to 15 homes a month; some using or Full Management Services and others with just the Rent-up Option. Our market place is the entire greater Cameron Park region including Placer, and El Dorado counties. Here is an overview of the steps we take to market and lease your property. For the do-it-yourself investor, looking for maximum marketing exposure for the dollar, KTB Property Management will list your property in our marketing program, screen the callers, get an application (and credit report) and pass them on to you. The property can be anywhere in greater Cameron Park; our marketing program covers Cameron Park, Placer, Yolo and El Dorado counties. Cameron Park is a warm community of more than 15,000 residents located in El Dorado County, California, approximately 30 miles east of Sacramento and 70 miles west of South Lake Tahoe. Larry Cameron originally established this area in the 1950s as a 150-acre cattle ranch. 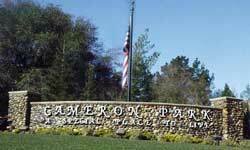 Today Cameron Park a rural mix of large ranches, residential and business property. The Parks Department acquires, improves, preserves and maintains land and water resources suitable for public use as parks, open spaces, green belts, landscape buffers, forests, and groves, wet lands, lakes, ponds, streams, and the like, for the visual and recreational enjoyment of Cameron Park residents and visitors to their community. The Cameron Park Community Services District offers residents of Cameron Park and surrounding areas recreational, sports, health and fitness, and educational activities and special events for all ages. Adjacent to the Airpark Estates sits man-made Cameron Park Lake. Covering approximately ten acres, the area contains a trail encircling the lake, picnic areas, boat rentals, tennis courts, playgrounds, as well as a sandy beach and swimming area separated from the main lake by an earthen dam. Turtles and aquatic fowl can be seen at the lake, and the Community Services District regularly stocks the lake with fish including bluegill, black bass, and black crappie fish. Cameron Park Lake is also the site of the annual "Summer Spectacular" held on or about the Fourth of July holiday. Since 1999 this event has provided entertainment, food, and a fireworks show to attendees. Cameron Park Lake is also the home of "Ribstock," a one-day BBQ festival that features a Kansas City Barbeque Society-sanctioned BBQ competition.